Flooring has a lot to say about your living space and work space. Creatively used concrete can give you the look and feel of stone, brick, tile or slate, all created with durable long-lasting concrete. There are many choices in colors and styles, not to mention it is very low maintenance and its durability cannot be beat. 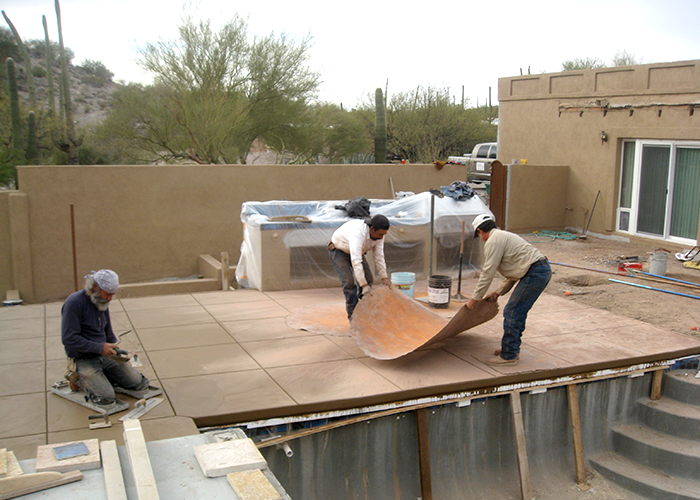 Stamped, stained, colored, or custom-designed concrete solutions are affordable and exquisite in any home. Ranging from countertops to floors, the sky is the limit on what we can do for your home! Guess which one: Tile or stamped concrete? Hardwood flooring can be an ideal flooring choice for just about any area of your home. 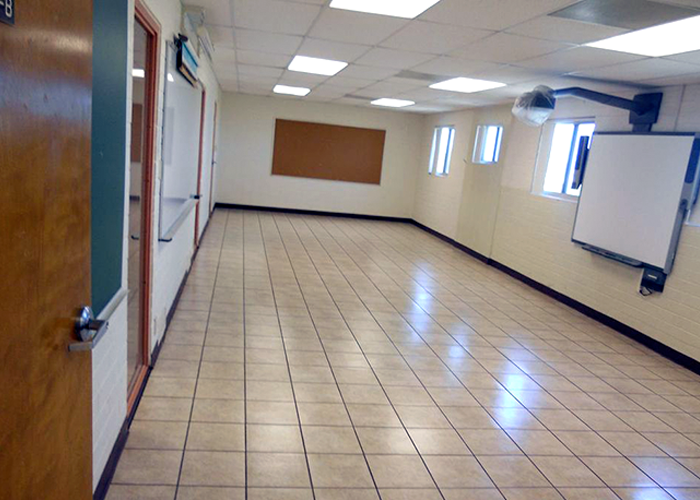 A local high school needing to replace their carpet floors with cool, clean tile. Take a look at that project below.